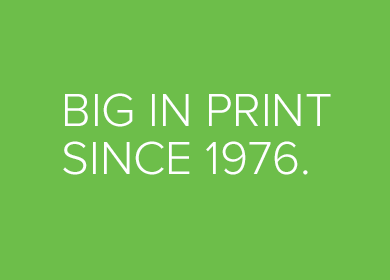 We’ve been on quite a journey and have evolved, grown and strengthened our business in excess of 40 years. 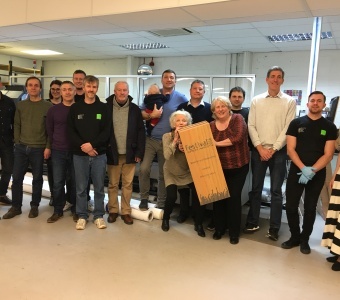 Originally known as Cygnet Reproductions, Swan Litho Services was established in January 1976 when three working Directors started a lithographic studio in Stratford, East London, using a large format Multichrome gallery camera and a hand operated proofing table. 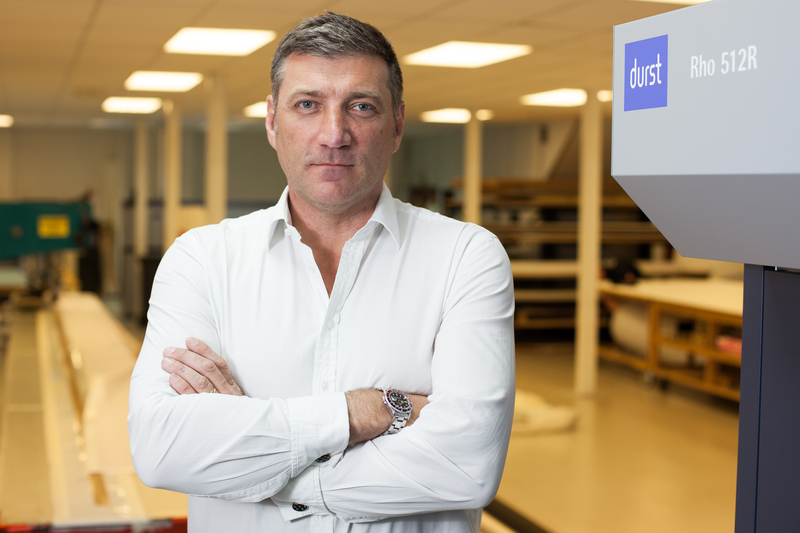 In 1979 the business expanded to six people an extended their services into platemaking. November 1984 - Mark Tydeman joins the business as a final film planner and production controller. 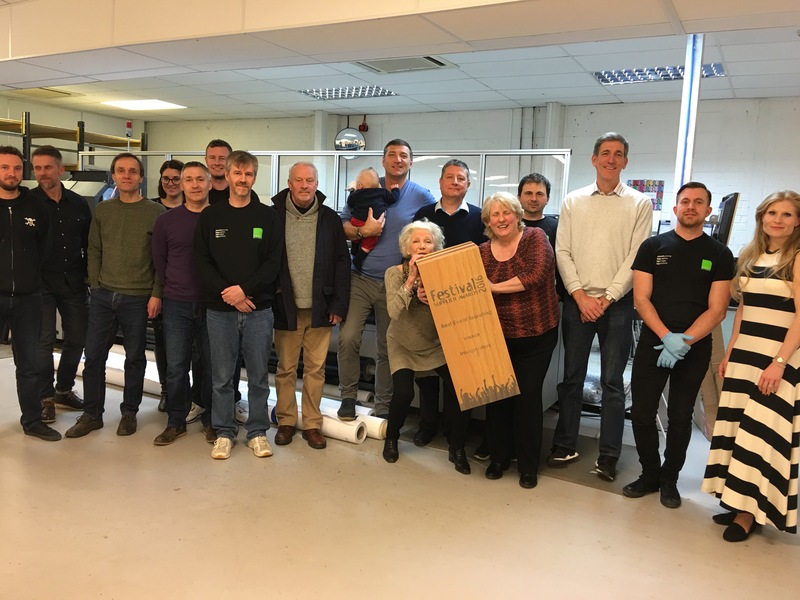 June 1986 – Swan Graphics moves from existing outgrown premises in Stratford, East London, to larger more modern premises in Hackney, East London. 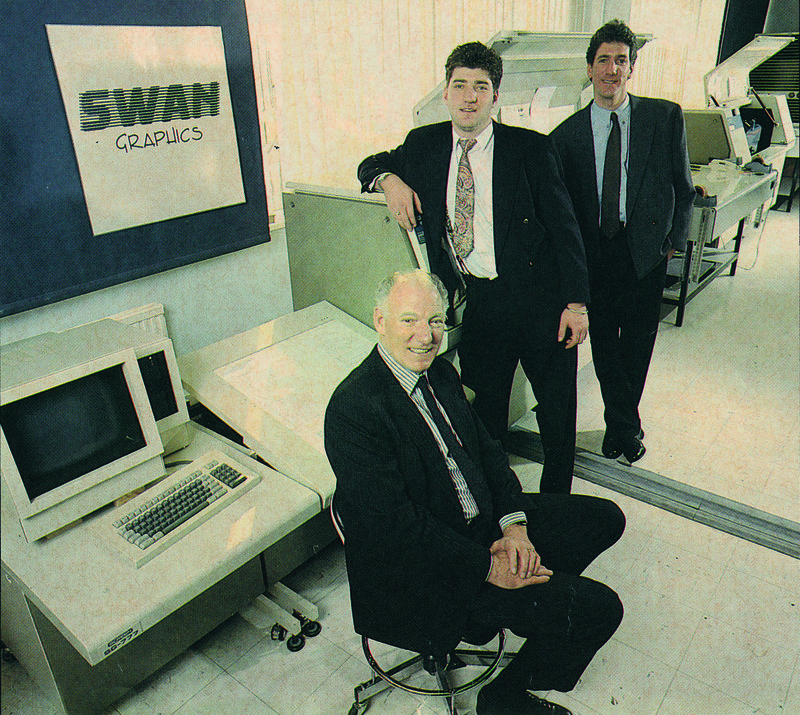 July 1986 Swan Scanning – new company founded to specialize in large format laser drum scanning. 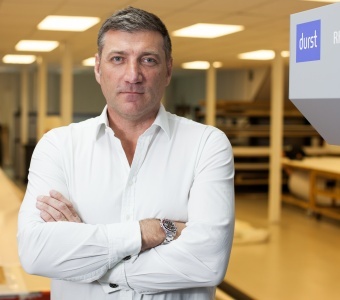 August 1986 – Swan Scanning installs the UK’s first large format SG777 Dainippon Screen laser drum scanner with two lasers. 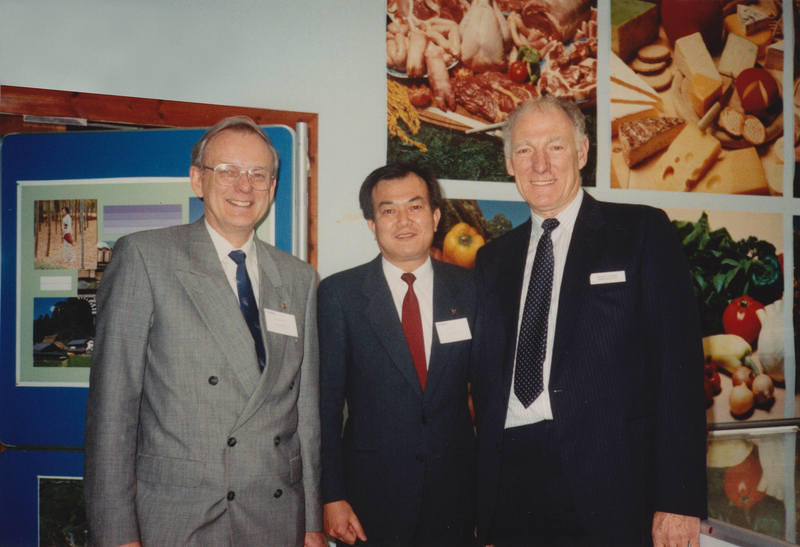 Malcolm McReath, Mr. Tsuruta and Dennis Tydeman at a VIP event held at Swan Graphics. September 1986 – Matthew Tydeman joins the business as a scanner operator. January 1987 – Swan Graphics undergoes a transformation following the installation and commissioning of the UK’s first Dainippon Screen SG777 large format drum scanner. Dennis Tydeman said ‘we have undergone a metamorphosis’. September 1987 – Swan Scanning installs a Dainippon Screen SG608 scanner to manage an increased workload. November 1990 – Swan Scanning installs a second Dainippon Screen SG777 Large Format Drum Scanner. The only company in the world to own two. 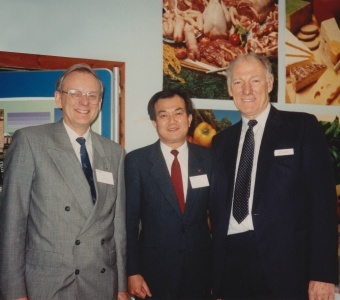 January 1993 – Our founder Dennis Tydeman receives Diploma from GPMU in recognition of 45 years service to the Executive Council of the printing industry. 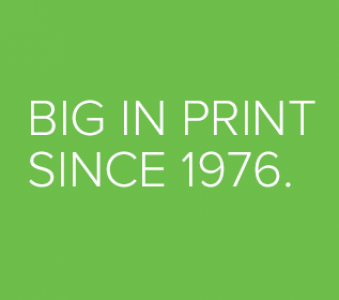 July 1993 – Swan Colour Press – formed to specialize in short-run large format lithographic printing. 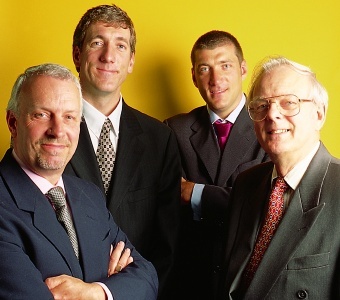 October 1994 – Swan Graphics expands and opens a Nottingham sales office to drive business growth. December 1995 – Swan Scanning converts scanners to postscript imagesetters with the worlds first installation of a Centurfax postscript bridge. May 1996 – Swan Scanning installs a Silicon Graphics Indigo Extreme workstation to handle large format digital page make-up and retouching. March 1998 – Swan Scanning installs a third Dainippon Screen SG777 Large Format Drum Scanner. The only company in the world to own three. 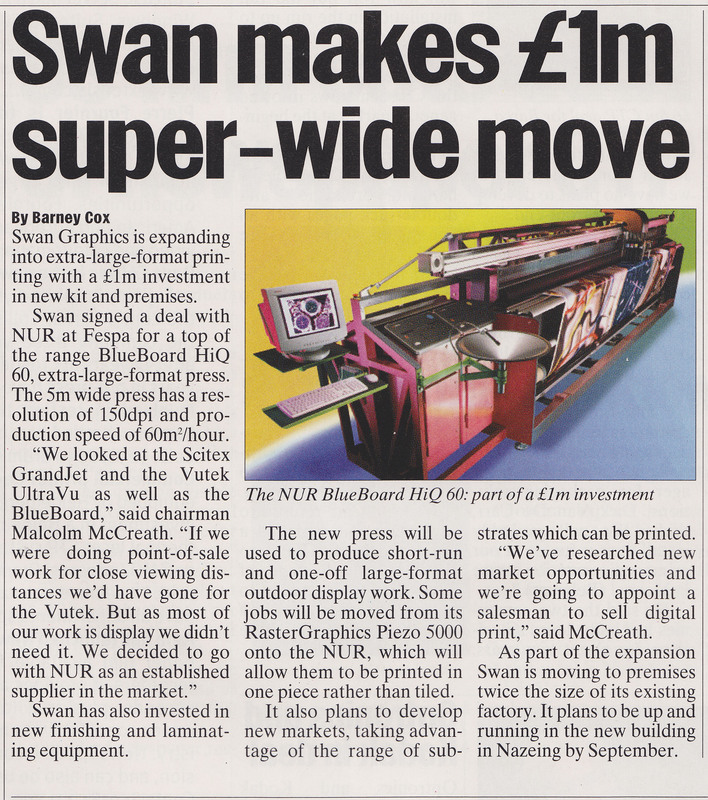 June 1998 – Swan Graphics installs a RasterGraphics PP5000 6-colour 1.3m roll to roll inkjet printer. 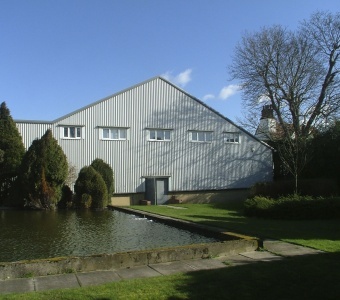 June 1999 – 18000sqft factory acquired by Swan Graphics to accommodate Swan Graphics Group and Imaginators new digital printing business. 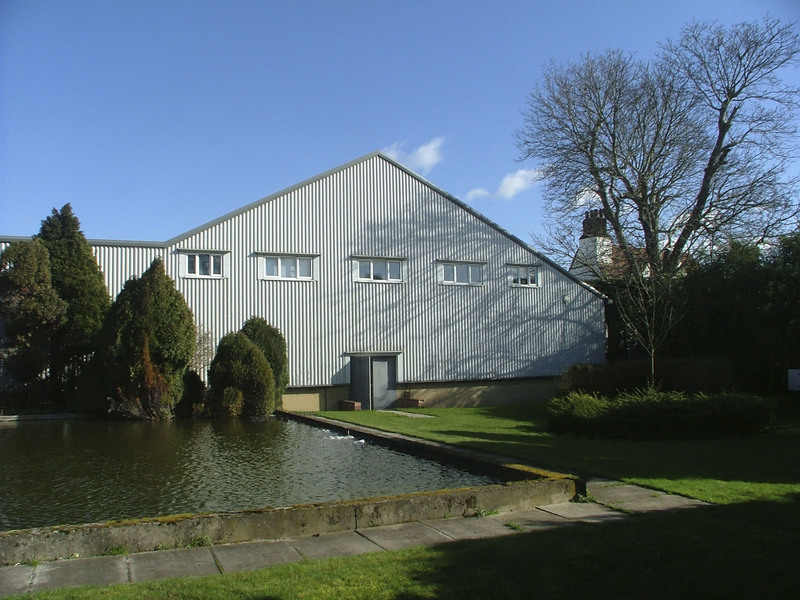 December 1999 – Swan Graphics moves into new purpose built premises in Nazeing, Essex. 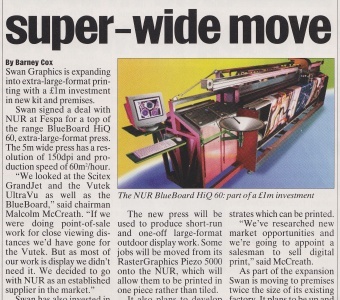 February 2000 – Print World magazine announces Swan Graphics move into large format digital print production with the installation of the UK’s first NUR Blueboard HiQ 70dpi 4-Colour 5m roll to roll inkjet printer. 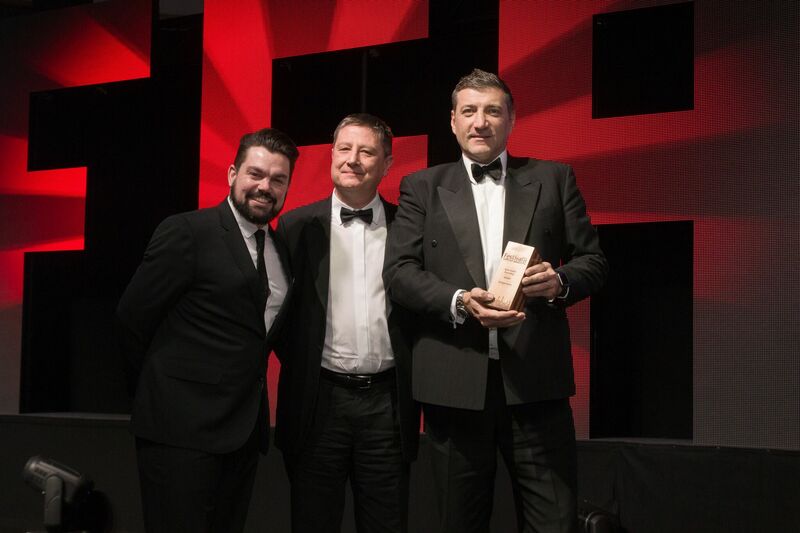 November 2001 – Imaginators receive ‘Special Recommentation Award’ for Large Format Digital Printing. 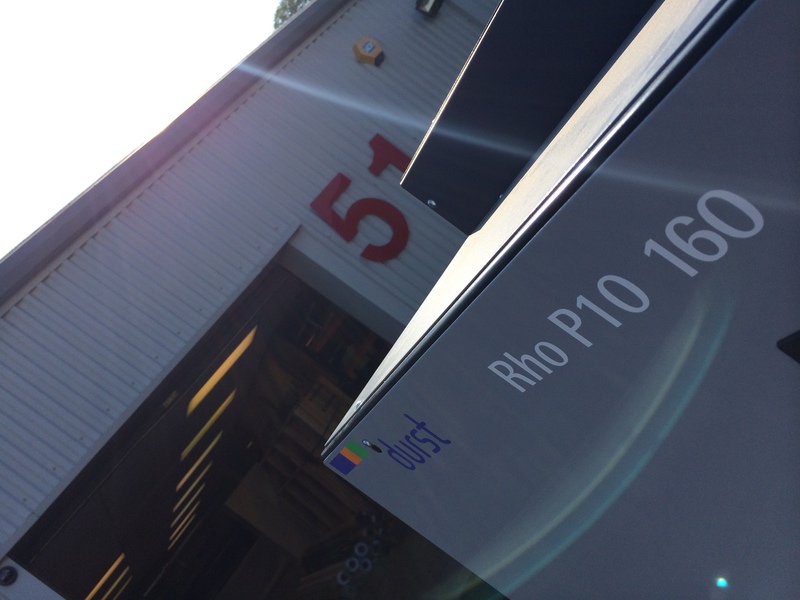 January 2002 – Imaginators installs the UK’s first NUR Fresco 3200 360dpi 4-colour 3.2m roll to roll inkjet printer. March 2002 – Imaginators installs a HP5500 720dpi 6-colour 1.5m roll to roll inket printer. 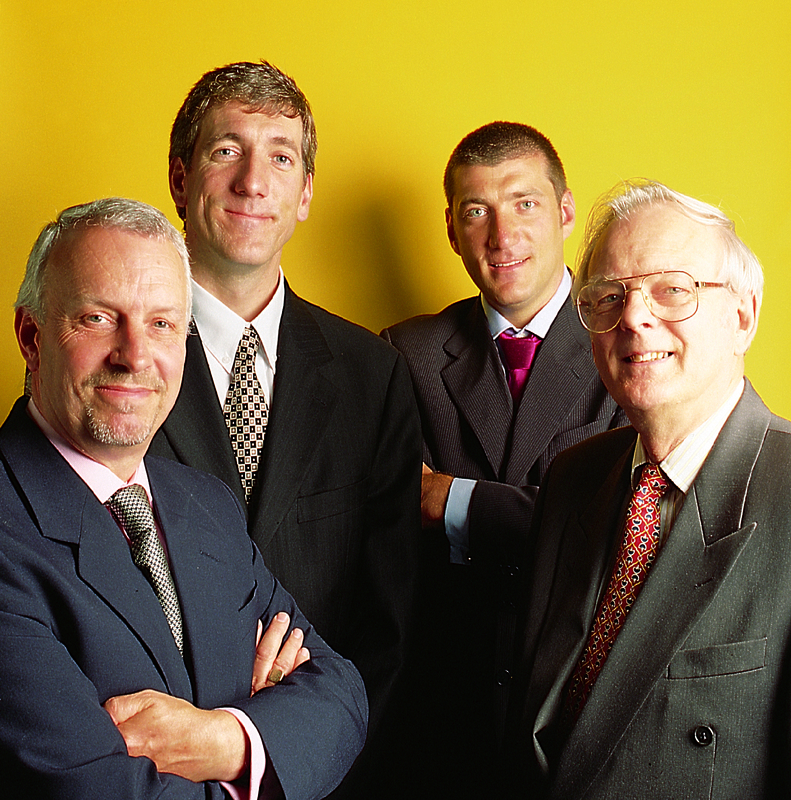 December 2002 – Installation of the UKs first Scitex Creo VLF Platesetter and Brisque Workflow. 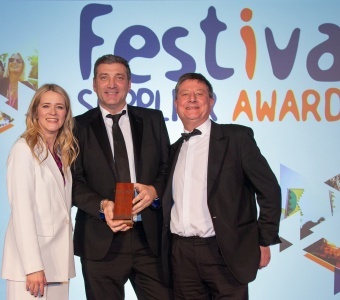 April 2003 – Imaginators win ‘DSPA Award’ for Ultra Wide Format Digital Printing. 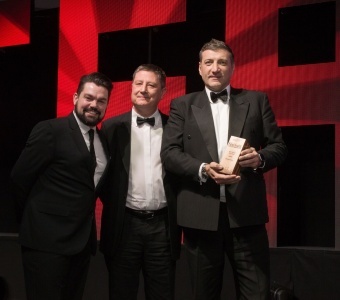 April 2004 – Imaginators win ‘DSPA Award’ for Ultra Wide Format Digital Printing. 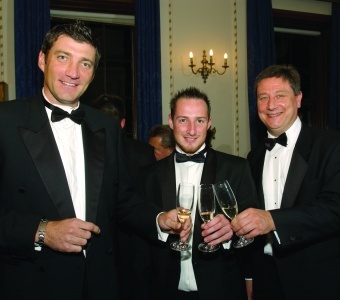 April 2005 – Imaginators win ‘DSPA Award’ for Ultra Wide Format Digital Printing. 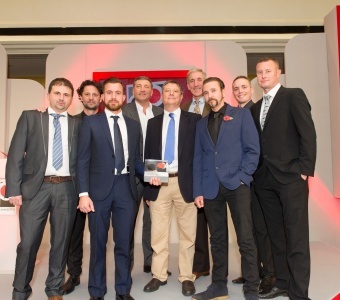 April 2005 – Imaginators win ‘DSPA Award’ for Young Digital Printer of the Year. 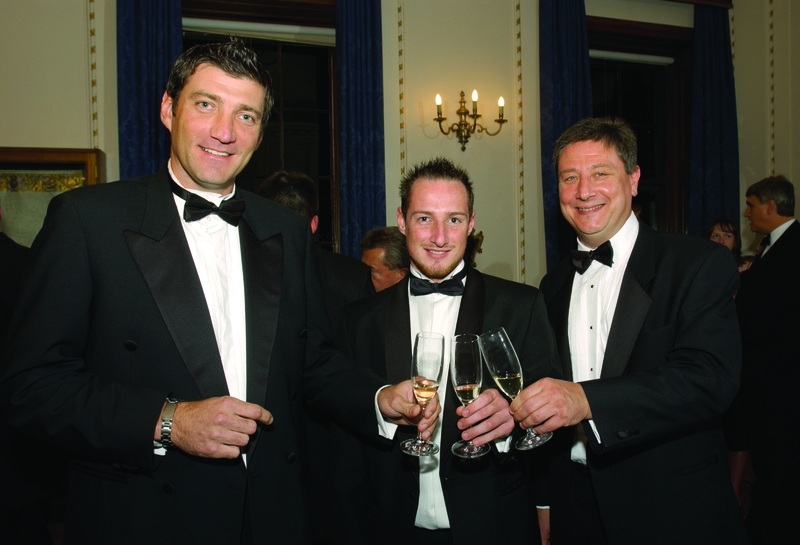 Matt Tydeman, Martin Skipp, Tony Hills. 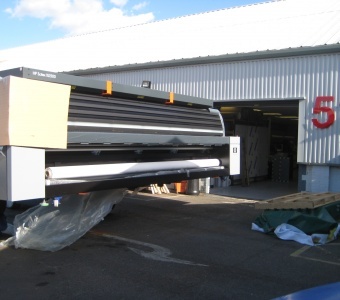 November 2006 – Imaginators installs an AGFA Graphics Grand Sherpa 1200dpi 6-colour 1.6m roll to roll inkjet printer. 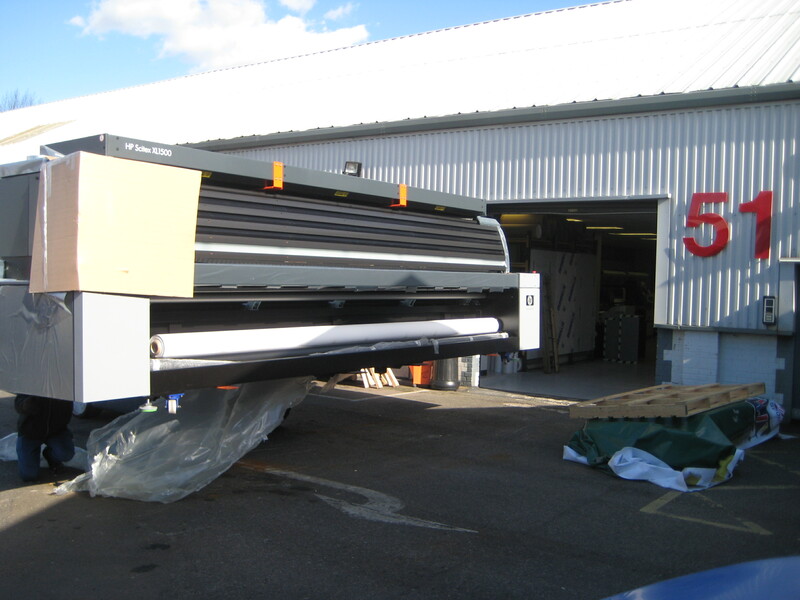 March 2008 – Imaginators installs a HP Scitex 720dpi 8-colour 5.0m roll to roll inkjet printer. 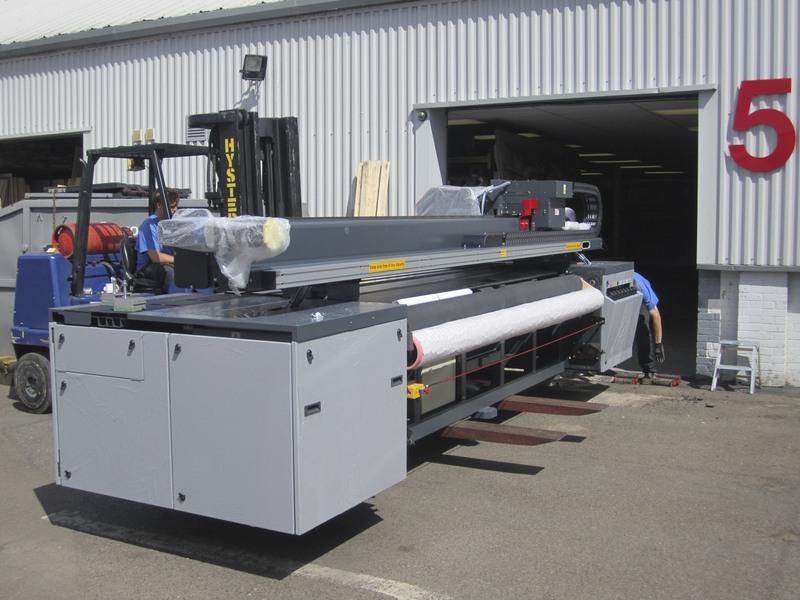 July 2008 – Imaginators installs a second HP5500 720dpi 6-colour 1.5m roll to roll inkjet printer. April 2009 – Imaginators installs a HP Z6100 1200dpi 8-colour 1.5m roll to roll inkjet printer. 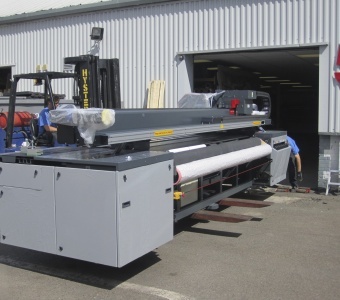 April 2010 – Imaginators installs a second HP Z6100 1200dpi 8-colour 1.5m roll to roll inkjet printer. 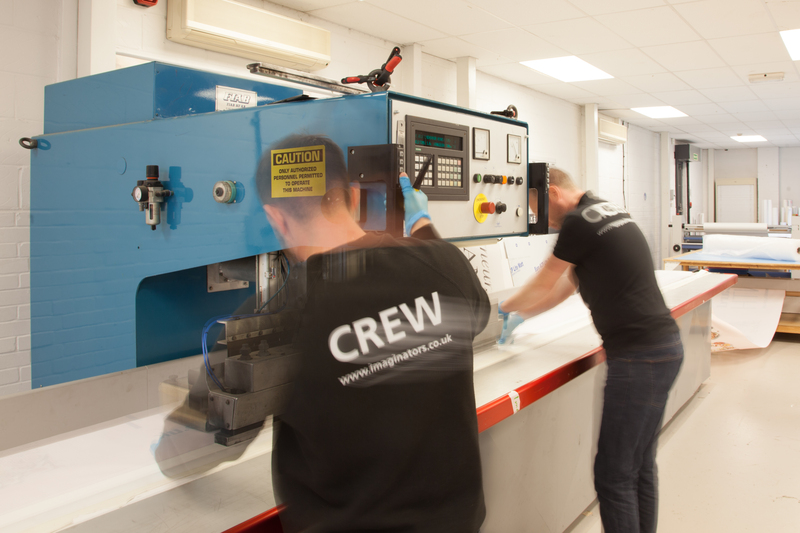 May 2011 – Imaginators installs a HP Scitex XP2750 720dpi 8-colour flatbed direct to media inkjet printer. 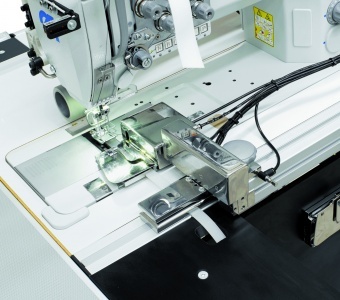 May 2012 – Imaginators installs a new FIAB High Frequency 10kw track welder. 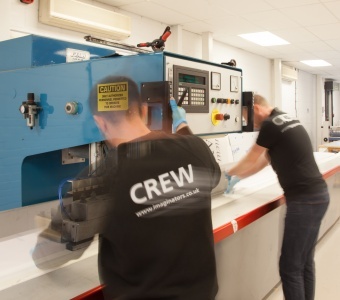 November 2012 – Imaginators expands it vinyl department with in the installation of the UK’s first 1.6m wide vinyl cutter. 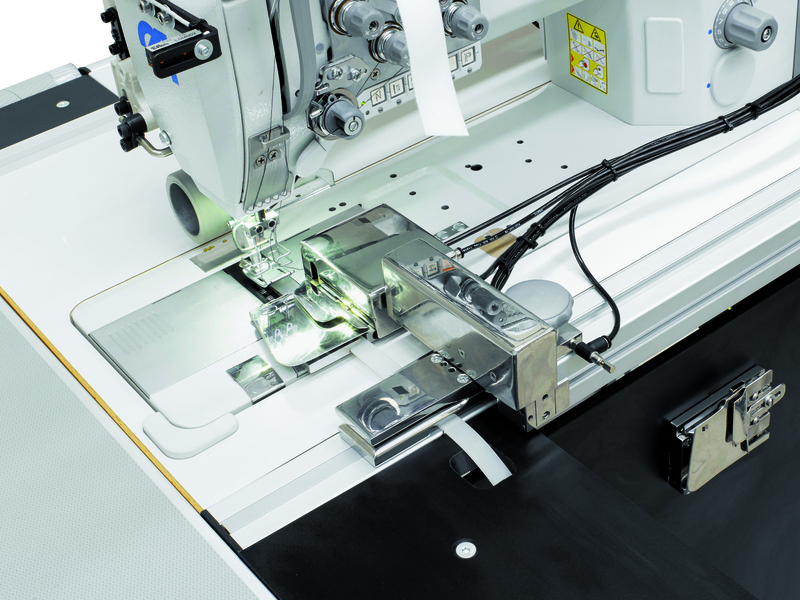 July 2014 – Imaginators installs an automated Kongsberg XN44 robotic flatbed cutting table. 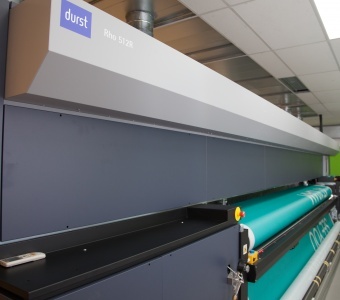 September 2014 – Imaginators install a Durst P10 160 1000dpi 6-colour hybrid press. 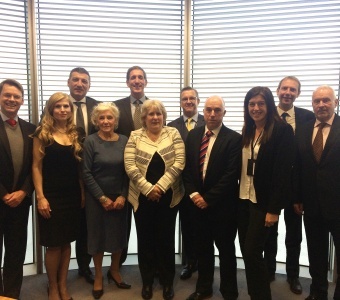 January 2016 – Imaginators celebrate 40 Years of trading and business with HSBC Bank at Canary Wharf. 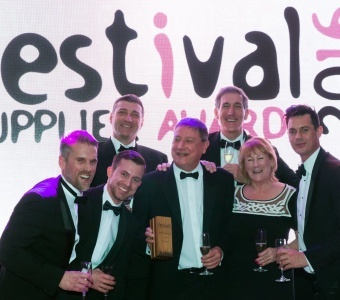 February 2016 – Imaginators celebrate our award for ‘Best Branding’ company at The Festival Supplier Awards 2016. 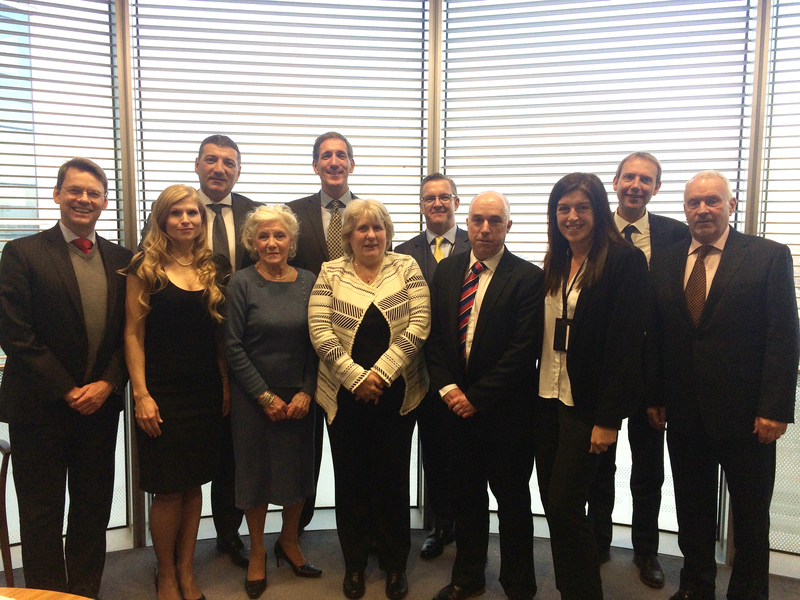 March 2016 – Company Secretary Jenny Conlon celebrates 25 Years with Imaginators with the print production team. 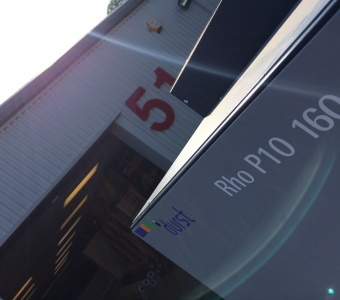 March 2016 – Imaginators installs a HP Z6800 1200dpi 8-colour 1.5m roll to roll inkjet printer. May 2016 – Imaginators installs an Optimus MIS system to streamline business workflow. 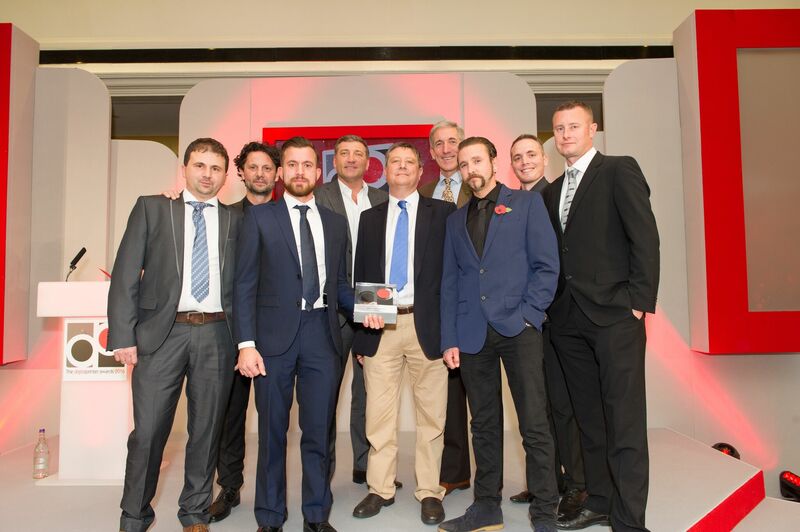 November 2016 - Imaginators celebrate our awards of ‘Best Wide Format’ and ‘Best Superwide Format’ company. 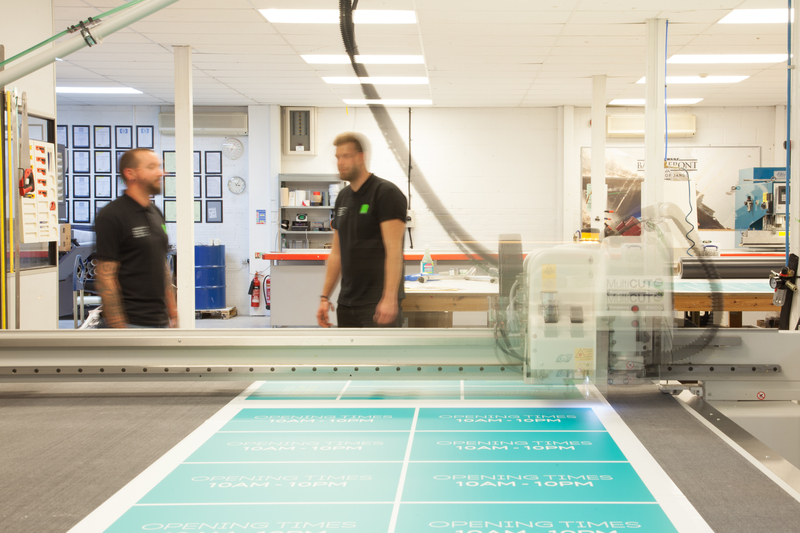 January 2017 – Imaginators installs a HP Latex 1.5m wide roll to roll environmentally friendly printer. 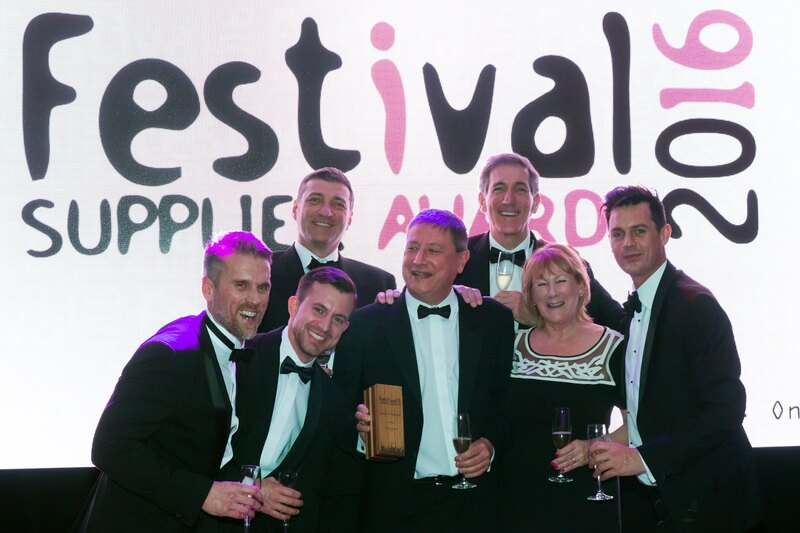 February 2017 - Imaginators celebrate our award of ‘Best Branding’ company for the second consecutive year at The Festival Supplier Awards 2017. 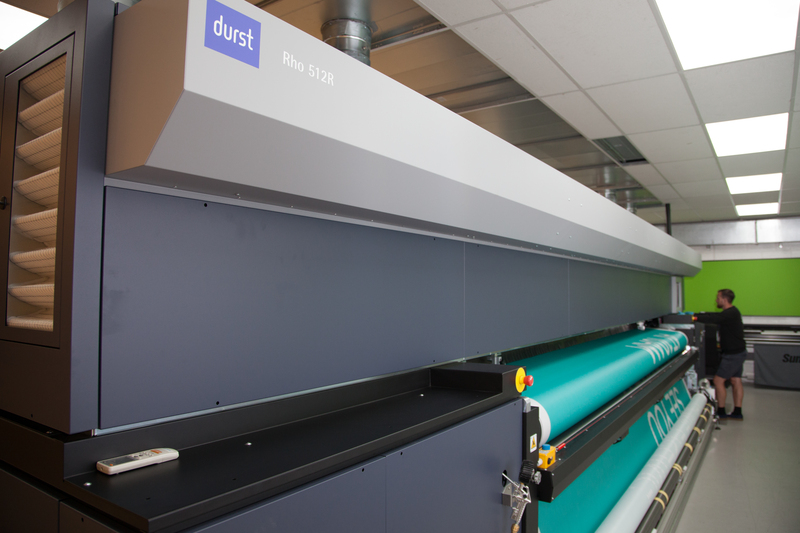 April 2017 – Imaginators install a 5m wide Durst 512R roll to roll press. 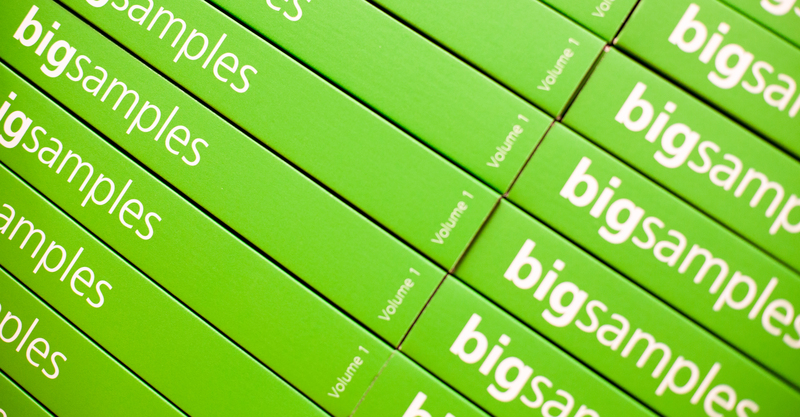 6-colour, 800dpi, 350m2/hr. September 2017 – Imaginators feature in 2017 Parliamentary Review for innovation in printing. 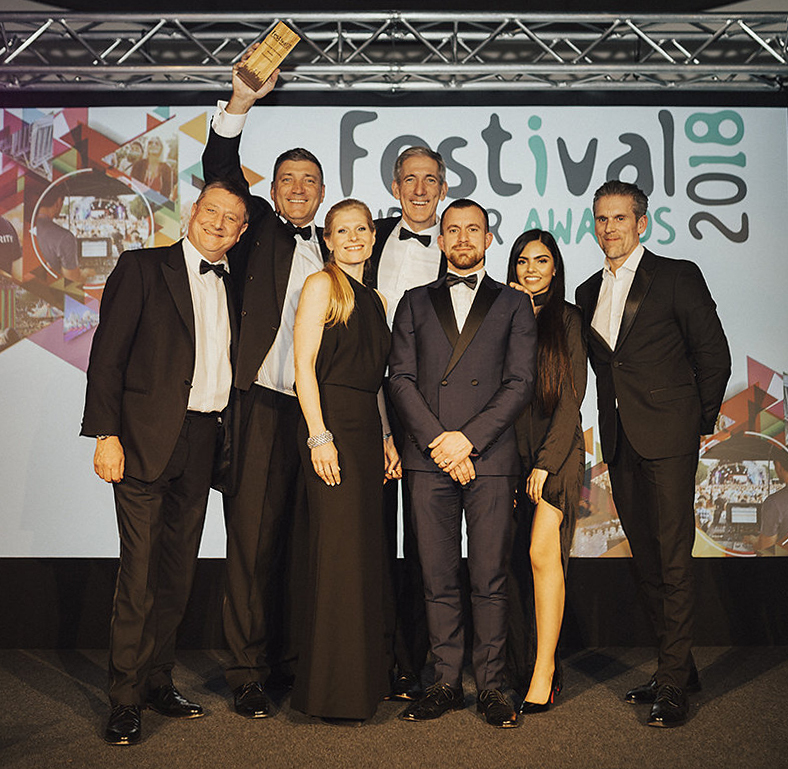 Imaginators celebrate winning the Festival Supplier Award 2018 for Best Branding for the third successive year. 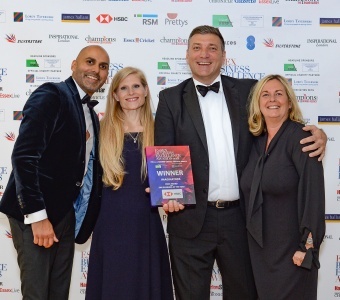 Imaginators win prestigious award at the recent Essex Business Excellence Awards 2018 sponsored by HSBC. 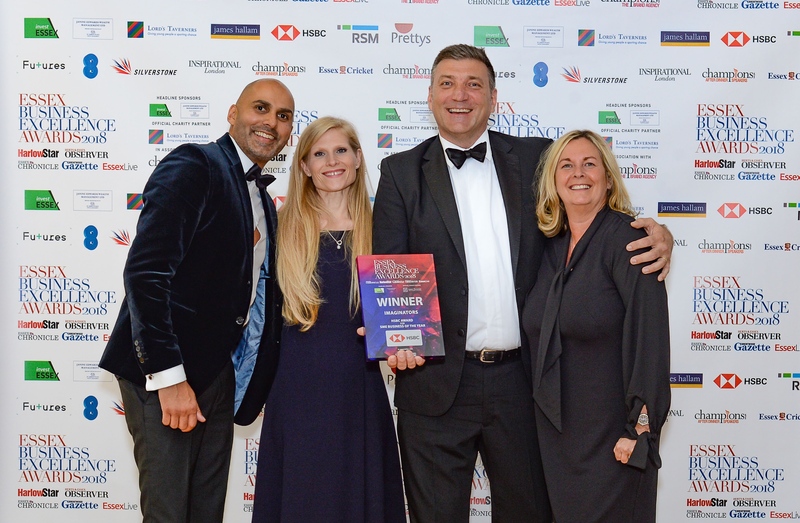 Over 1200 businesses from across the Essex region entered the awards with Imaginators being shortlisted as a finalist before winning the highly prestigious award of Best SME Business of the Year 2018. 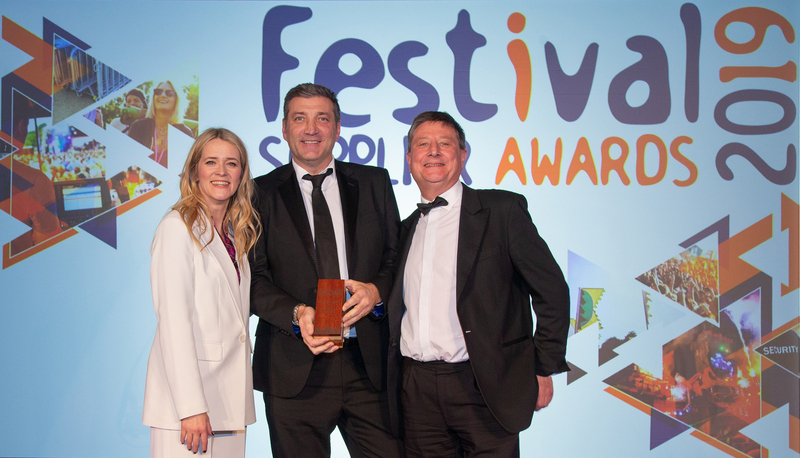 Imaginators celebrate winning the Festival Supplier Award 2019 for Best Branding for the fourth consecutive year. 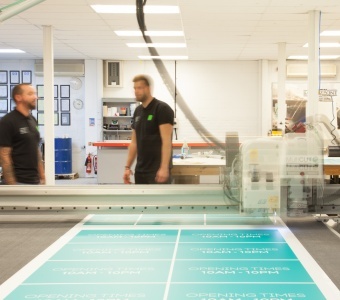 Imaginators upgrade their finishing department with an automated stitching system for textile large format graphics. 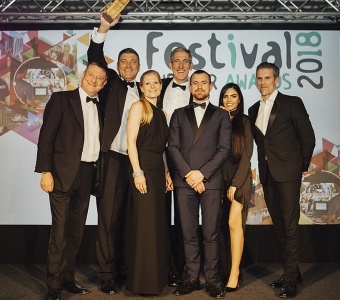 Our journey is far from over – and that’s because we’re always evolving, growing and looking to the future to create a bigger, better, and more diverse business. Join us on our journey.